Leo Varadkar will push to keep the North in the EU single market as a part of his Brexit strategy should he win the contest to succeed Enda Kenny as Taoiseach. Seeking special arrangements for Northern Ireland to ensure an 'invisible' Border is among five key principles in Mr Varadkar's plan for responding to Brexit, according to details obtained by the Irish Independent. The Fine Gael leadership contest is set to finally get under way officially, with Mr Kenny expected to outline his intentions for stepping down at a party meeting on Wednesday. 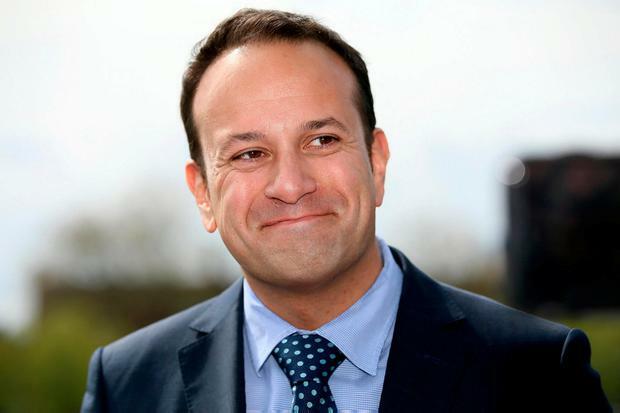 Both Mr Varadkar, the Social Protection Minister, and his main rival in the upcoming leadership contest, Housing Minister Simon Coveney, are understood to be poised to launch their campaigns this week. However, Mr Kenny may once again confound expectations in Fine Gael on how long he'll remain in office. Senior sources have said they believe Mr Kenny intends to represent Ireland as Taoiseach at the next European Council meeting on June 22. That's when Brexit negotiations will get underway in earnest, as the summit will be attended by the winner of the British general election, widely expected to be current Prime Minister Theresa May. Last night, remarks by the current British Brexit Secretary David Davis indicated the future of the Border could be at the centre of an early row in the talks. He told ITV he doesn't believe Border issues can be resolved in the first phase of negotiations as the EU wishes. He said he expects the phasing of talks to be the "row of the summer" and argued it's "wholly illogical" to separate Border issues from a trade deal. "How on Earth do you resolve the issue of the Border unless you know what the customs agreement is, what the free trade agreement is, whether you need to charge tariffs at the Border?" he said. Mr Varadkar delivered a speech in Co Donegal over the weekend where he said there should be "no economic Border at all between North and south". He said if there are to be any customs checks they should be at the ports and airports, but that Ireland should advocate for the North to stay in the customs union and single market. The Irish Independent has learned further details of his policy proposals on Brexit. Seizing opportunities that arise from Brexit to support business and farming. Other EU schemes Mr Varadkar wants Northern Ireland to maintain access to include the Erasmus student exchange programme. Such special arrangements would reflect the fact the majority in the North voted to remain in the EU. The establishment of an enterprise and farming stabilisation and transition fund is also proposed to support businesses and farms to adapt to the post-Brexit environment. Details of Mr Varadkar's Brexit policy come as a new poll showed Mr Coveney in the lead in the race to succeed Mr Kenny among Fine Gael voters. Mr Varadkar remains ahead among the public at large. The Behaviour and Attitudes/'Sunday Times' poll puts Mr Coveney at 33pc and Mr Varadkar at 28pc among Fine Gael supporters. The corresponding figures for the public are Mr Varadkar on 25pc and Mr Coveney on 20pc. Education Minister Richard Bruton is at 15pc among Fine Gael voters while Tánaiste Frances Fitzgerald stands at 7pc. Both Mr Bruton and Ms Fitzgerald are considering entering the race but have not made their intentions publicly known. Lucan-based South Dublin county councillor William Lavelle last night said he's supporting Mr Varadkar. The former adviser to Ms Fitzgerald praised her and Mr Coveney, but said he believes Mr Varadkar has "the personality, vision and capacity to be a great taoiseach". Dublin Rathdown TD Josepha Madigan has joined junior finance minister Eoghan Murphy and Carlow-Kilkenny TD John Paul Phelan on Mr Varadkar's campaign team. Health Minister Simon Harris, Junior Minister Damien English, and TDs Kate O'Connell and Maria Bailey are among Mr Coveney's supporters.